The village of Merthyr Mawr, south of Bridgend, has a stunning collection of early medieval inscribed stones, ‘Celtic’ crosses with interlace and even earlier stones naming local rulers. 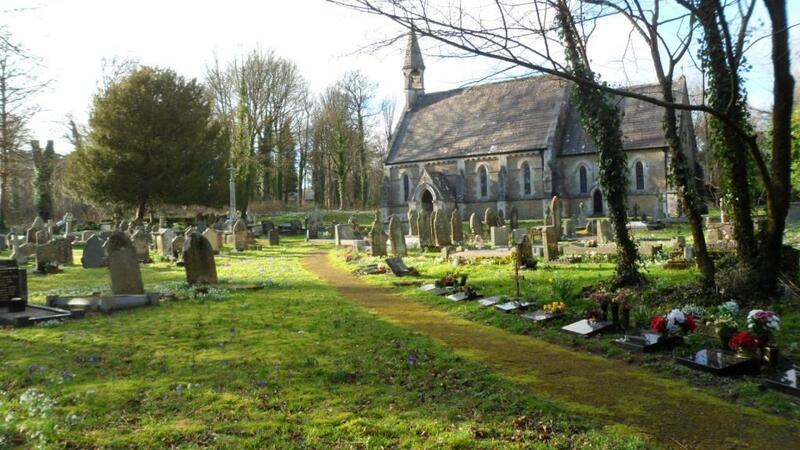 At nearby Llangewydd, fragments of early carved stones were found in a field that was the village churchyard before it was taken over by Cistercian monks. And in the church at Laleston, hidden in plain sight, is a later medieval tombstone with three crosses on it. Similar stones have been found at Margam and Llangynwyd. It’s possible that they show the design of the Holy Rood of Llangynwyd, a famous carving of Christ on the cross which attracted pilgrims in the Middle Ages. I’ve been working with the community councils on a heritage trail which links these sites with the new Wales Coast Path. Chris Jones-Jenkins has done some of his amazing reconstruction drawings and we hope to have leaflets and interpretation boards printed soon.